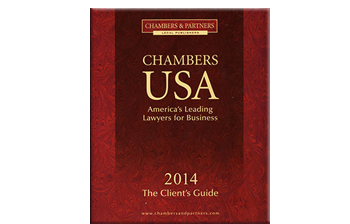 Subscribe to our firm’s email newsletter using the subscription box at the bottom of this page. Submitted email addresses will not be shared with anyone and used only for newsletter delivery purposes. You can unsubscribe using the links on our newsletters at any time. 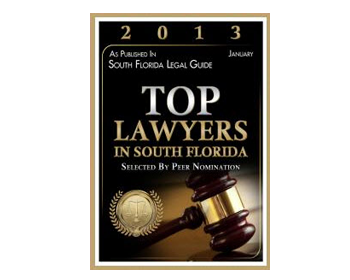 + Rubin on Florida Homestead, Florida’s only complete treatise on all aspects of Florida homestead law. + Guidebook for U.S. Taxation of Foreign Individuals,an easy to understand guide regarding U,S, income, estate and gift tax rules and their application to nonresidents of the US,, including a discussion of the rules for determining U.S. residency for U,S, tax purposes. + Substantial Presence Test for Income Tax Residency (Mindmap) a collapsible – expandable diagram of [he test for determining whether a nonresident is characterized as a U.S. resident for U.S, income tax purposes based on days present in the U.S.
+ Estate Planning Strategies in a Low-Interest Rate Environment The low interest rate environment we are presently in provides opportunities for transfer tax planning that arc not available, or not as advantageous, in times of higher prevailing interest rates, Jordan Klingsburg of our office has written a useful analysis of the current opportunities. + IRS Guidance is Helpful, but also Overreaches This article in the Tax Management International Journal by Charles Rubin that analyzes and comments upon the 2009 guidance issued by the IRS in Notice 2009-85 relating to expatriation of U,S, persons. + Regulations Shift Burden Of Uncertain And Contested 2053 Claims And Expenses To Taxpayers. This Journal of Taxation article by Charles Rubin analyzes new Treasury Regulations that provide new and extensive rules for addressing when deductions can be taken for federal estate tax purposes for uncertain and contested claims and expenses. + FATCA (2010) Foreign Provisions – Analysis. Charles (Chuck) Rubin’s presentation to the 29th International Tax Conference regarding the new international tax provisions introducted under the FATCA provisions of the 2010 HIRE Act. Both the Powerpoint Presentation and Full Outline are available. + 2011 International Tax Annual Update. Robert Chaves’ presentation to the 29th International Tax Conference. + New Form 8938 Reporting Requirements for Foreign Financial Assets. Charles (Chuck) Rubin’s presentation materials to CPA’s and other interested persons, include an executive summary and a detailed analysis. + Foreign Trusts – Dancing Through The Minefield. Charles Rubin’s presentation on various tax and other issues relating to foreign trusts, presented at the 2012 Florida Bar Attorney-Trust Officer Laison Conference. Here is the detailed analysis. + Last Chance Planning In 2012. Charles Rubin’s written materials for his presentation on last chance planning to use the $5.12 million unified credit equivalent in 2012 before its scheduled reduction to $1 million in 2013 and thereafter can be read here. The presentation itself can be viewed online here. 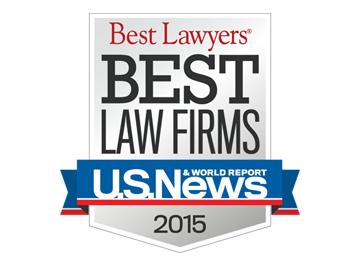 + What You Should Know About International Estate Planning. Charles Rubin’s written materials for his 2013 presentation at the Estate Planning Council of Greater Miami 1st Annual Estate Planning Symposium at the University of Miami. + Tax Considerations In Asset Protection Planning. Charles Rubin’s presentation materials at the Florida Bar 2013 Asset Protection Symposium. + The Death of Trust Reformation to Correct Drafting Mistakes (See Page 36). This article by Sean Lebowitz was published in the Summer 2013 edition of ActionLine, a publication of the Florida Bar Real Property, Probate & Trust Law Section. + Florida Irrevocable Trust Amendment Mechanisms. These charts summarize in a very useful manner the various mechanisms available to modify a Florida irrevocable trust. There are two downloadable PDF versions. The first is a one page version, suitable for printing out. You can download that here. A second more detailed version that will let you click through to see copies of applicable statutes, with requirements and other key information, can also be downloaded. If you download this version, when you open it, it may take a few seconds to load. If your PDF reader will not work with it (for example, some browser PDF viewers will not work), you may need to download and open it with Adobe Reader. You may also be asked to install Adobe Flash. Once it is open, click on the ‘+’ and ‘-‘ icons to expand or collapse the branches to get to the additional information. This expanded version can be downloaded here. Some firewalls block access – if that is a problem for you, send a request to crubin@floridatax.com for the Irrevocable Trust Mechanisms chart and we will email you the file. Another way to view the diagram is on your iPad, iPhone, or Android tablet or other device – this is probably the best way for ease of use. First you will need to install the Mindjet Mindmanager app on your device – it is free! Then, on that device, click on this link and open it in that app. A simple tap on a topic will expand or collapse it, and a double tap will review more info if not all is being displayed. You can also use that link if you have their desktop software installed on your laptop or desktop computer (not free!). + Offensive Measures In Trust And Estate Litigation. This analysis was prepared by Jenna Rubin and presented to the Trust and Estate Litigation Committee of the Florida Bar’s Real Property and Probate and Trust Law Committee in 2013. + Part VI – Willful or Non-Willful Offshore Omissions? +Prenuptial and Postnuptial Agreements. Charles (Chuck) Rubin gave a presentation on October 10, 2015 at the Florida Bar Tax Section CLE How to Be an Estate Planning Wizard. The subject was the tax and other aspects of prenuptial and postnuptial agreements. The presentation covered both federal and Florida issues. Click the link to watch slides (with audio).